Switch From Dollar Bills To Dollar Coins Could Save $5.5 Billion, GAO Says : The Two-Way Replacing the U.S. $1 note with a coin could save the government around $5.5 billion over 30 years, according to a new report. The GAO says Canada and Britain figured out how to encourage people to use coins instead of paper money: take the paper money away. 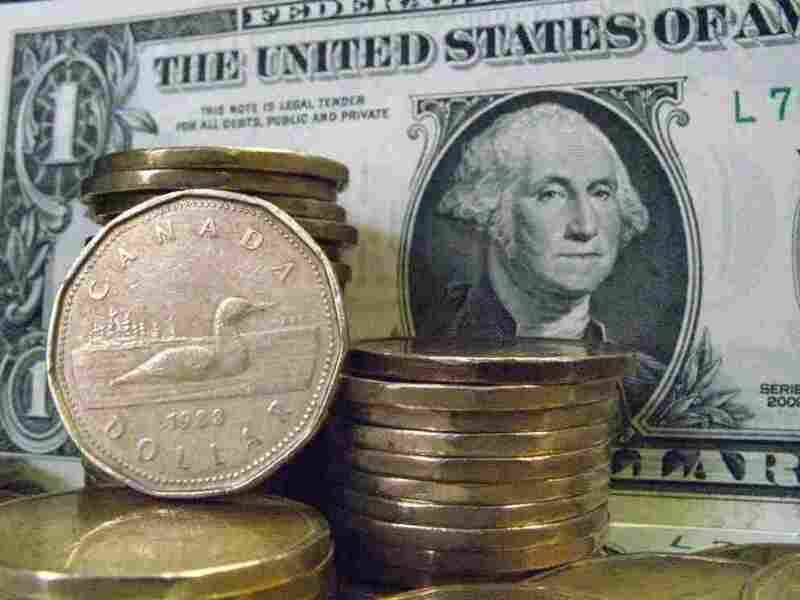 When Canada switched to dollar coins, or "loonies," its simply took the country's dollar notes out of circulation. The GAO says the U.S. needs a similar plan. Replacing the U.S. $1 note with a coin could save the government around $5.5 billion over 30 years, according to a new report by the General Accountability Office. The first four years of switching to a dollar coin would be expensive, the GAO says. But after that, the benefits start to accrue and would then outweigh the costs. Update, July 14: Our colleagues at Planet Money have delved into the dollar coin question, and they come to different conclusions than the GAO. Our original post continues: Of course, we already have $1 coins here in the U.S. — but they've never really gained a foothold against the greenback. The GAO says Canada and Britain figured out how to really encourage people to use coins instead of paper money: take the paper money away. "Officials from both countries told GAO that this step was essential to the success of their transition and that, with no alternative to the note, public resistance dissipated within a few years," the agency's report said. The GAO says that coins have one big advantage over paper currency: durability. Since they don't need to be replaced as often, coins wind up costing less than paper over the long run. There are some drawbacks to switching to coins, mostly involving transporting and processing the money. The GAO says its researchers spoke about the pros and cons of switching to dollar coins with representatives from several banks, transit groups, the National Federation of the Blind, and Wal-Mart. It's not the first time the GAO has told Congress that the country would be better off using dollar coins instead of dollar bills. But the last time was way back in 2000. The recent study was conducted at the request of Sens. Richard Shelby, Robert Casey and Tom Harkin.